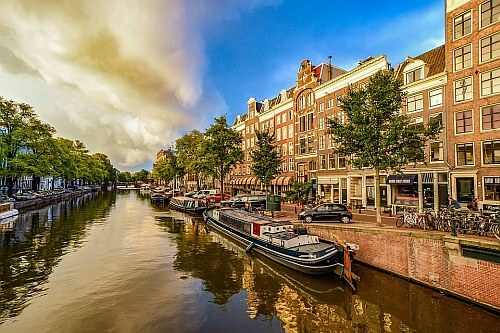 Icelandair has dropped the price of a few of their late November to first half of December 2017 flights from Toronto to Amsterdam, Netherlands down to $475 CAD roundtrip including taxes. As usual, you can turn these into a 2-in-1 trip with Iceland, and visit both countries for $20 more. (You can also change the order so that you visit Iceland first, and Amsterdam second). 2. Try using start and end dates that are similar to what you found with a regular roundtrip flight search above. You can play around with the middle date to give you more or less time in Amsterdam or Iceland. 3. You may find that clicking through from Google Flights to the Icelandair website doesn't work for Multi-City flights. You can try starting your own Multi-City search manually on the Icelandair website. Or you can go to Momondo, change the trip type from Return Trip to Multi City, and search for it there. toronto, yyz, flight deals, europe, western europe, netherlands, icelandair, reykjavik, iceland, kef, amsterdam, ams and scandinavia. 2 Responses to "Toronto to Amsterdam, Netherlands - $432 CAD roundtrip including taxes | off-season travel, add Iceland for $20"
305 Euro through Iceland Air site. Can't wait!